Dead or dying flowers can be beautiful as well. 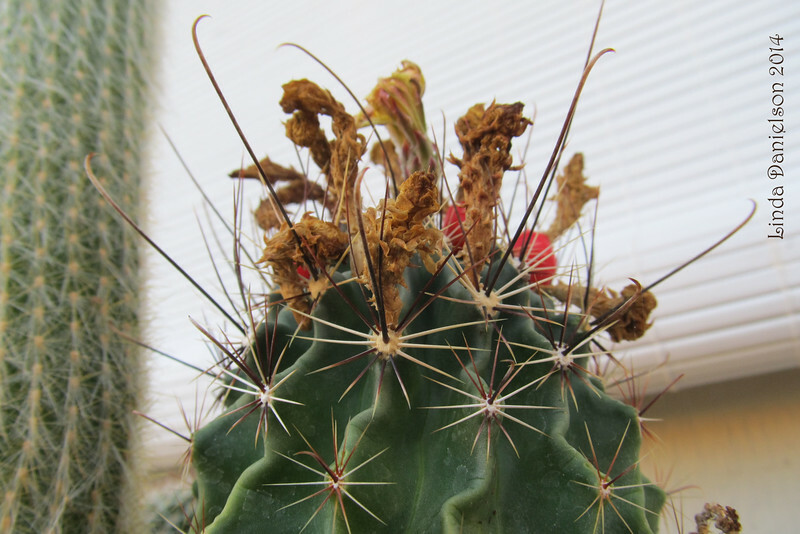 This cactus blooms, the flower is left behind, and then a red "bead" appears... ready for the next bloom I am sure. Don't cactus have the most interesting patterns of thorns on them? ?